Does air quality suffer as Utah moves more oil by rail? Energy • Oil terminals are operating without air-quality permits as industry ramps up production of Utah crude. Brian Maffly | The Salt Lake Tribune The Savage Energy Terminal in Wellington this year began trans-loading oil from trucks to rail cars, opening a new path for Uinta Basin crude to reach out-of-state markets. But environmentalists are concerned about worried with what they see as a lack of regulatory oversight this and two other new oil terminals in Carbon County. 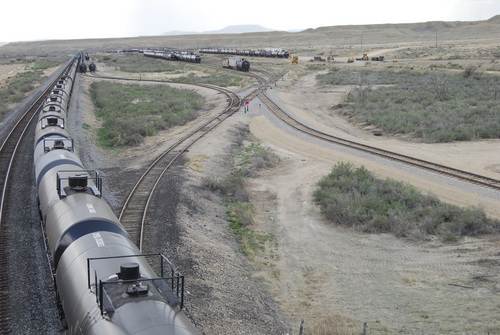 Brian Maffly | The Salt Lake Tribune The Savage Energy Terminal in Wellington this year began trans-loading oil from trucks to rail cars, opening a new path for Uinta Basin crude to reach out-of-state markets. But environmentalists are concerned about worried with what they see as a lack of regulatory oversight this and two other new oil terminals in Carbon County. 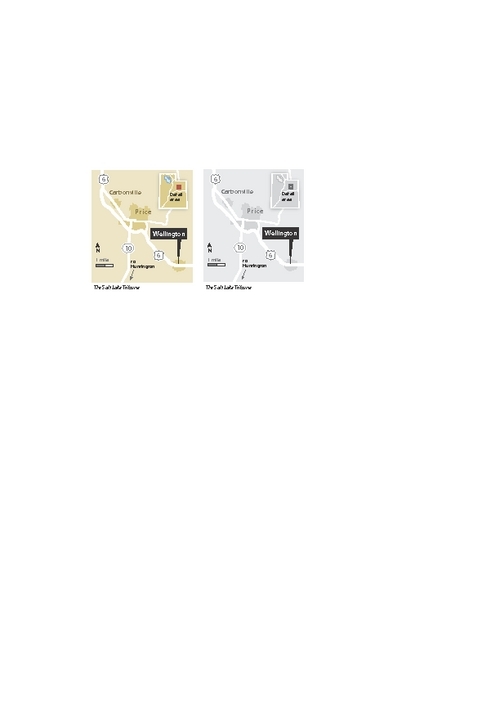 Brian Maffly | The Salt Lake Tribune The Price River Terminal in Wellington this year began trans-loading oil from trucks to rail cars, opening a new path for Uinta Basin crude to reach out-of-state markets. But environmentalists are concerned about worried with what they see as a lack of regulatory oversight this and two other new oil terminals in Carbon County. Retrofitting for oil Wellington's railyards, long a hub for the coal industry, now boast rail tankers filled with Utah's waxy crude oil. 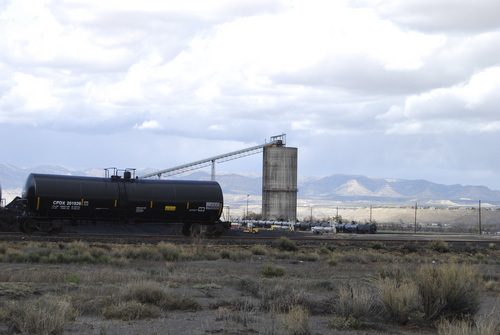 Built to move coal from trucks to trains, three Carbon County terminals instead began transferring crude oil this year  a switch yet to receive final approval from state environmental regulators. At least 50 tanker trucks a day are rumbling over U.S. Highway 191 to the new rail connections, marking the rise of oil and the decline of coal in Utah&apos;s energy picture. Thanks to this new infrastructure, Utah crude is being shipped out of state in large quantities for the first time, opening new markets for the Uinta Basin&apos;s distinctive waxy product. State officials are eager to see alternatives for transporting the basin&apos;s surging production, and competing proposals for a pipeline and railway are in the works. But the lack of current permits alarms environmentalists because transferring oil can release volatile organic compounds and other pollutants. "We are allowing major operations like this to function without state approval. That tells us we have a serious black hole in terms of regulations for protecting public health," said Tim Wagner, executive director of Utah Physicians for a Healthy Environment. The transfer stations "are potentially major contributors to air pollution, but also from spills and accidents and so forth," he said. The Utah Division of Air Quality (DAQ) is investigating whether one facility is violating its permit, issued for loading coal, and the other two are seeking air quality permits. An energy retrofit • Carbon County officials have endorsed the new terminals because they support the energy industry, regarded as the backbone of the local economy. The Utah Department of Transportation estimates the centers are now handling 20 percent of the basin&apos;s production, with the bulk still shipped by truck to Salt Lake City-area refineries. 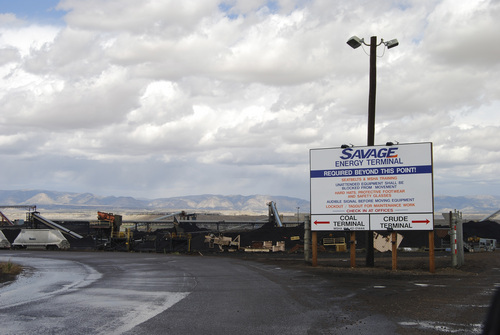 Savage Services Corp. was the first to retrofit a coal-loading station, transforming part of its massive facility in Wellington last year to load oil onto tanker cars for shipment to West Coast refineries and Oklahoma. The renamed Savage Energy Terminal began transferring oil from truck to rail early this year. But it has yet to file a permit application, called a notice of intent, with state air quality officials. The DAQ&apos;s compliance staff is now investigating whether Savage is in violation of the air quality permit it was issued in 2008 for loading coal, said Jon Black, an engineer with the agency&apos;s permitting section. Attempts to reach Garth Nielsen, Savage&apos;s eastern Utah general manager, were not successful Friday. Last March, he told the Sun Advocate newspaper that the terminal worked with government agencies to ensure the safe transportation of oil. The Division of Oil, Gas and Mining has approved Savage&apos;s oil transfers. Oil wave at Wildcat • Two other operations, the Price River Terminal in Wellington and the Wildcat Load Out Facility in Helper, have also begun processing oil, and they are seeking air quality permits. The Texas firms developing the facilities both have big plans. Wildcat is an old coal-loading facility operated by Intermountain Power Authority (IPA) for moving coal to its power plant near Delta. The west side of the facility is no longer in use for coal and Marlin Logistics, a firm affiliated with NuDevco, has been off-loading 22 oil tanker trucks a day using portable equipment, according to a recent record of decision from the Bureau of Land Management. On Sept. 5, BLM Price field manager Ahmed Mohsen approved IPA&apos;s request for the right-of-way extension necessary to convert Wildcat from coal to oil. The decision allows IPA to build oil tanks capable of storing 100 million gallons, loading racks and additional track, and authorizes the transportation of up to 20,000 barrels a day ­­ ­ about one-third the amount the NuDevco application mentions. Expecting minimal emissions • Meanwhile, outside Wellington, a Fort Worth firm called Global One Transport began assembling long unit trains early this year bound for the massive crude oil storage hub in Cushing, Okla. Global One can load 15,000 barrels a day and plans to expand to 40,000 barrels. The county has authorized it to off-load 105 trucks a week, but the company has applied to ramp that up to 700 trucks. It submitted a notice of intent to DAQ last year, but the agency put the application on hold until the company submits additional information, Black said. Ordinarily, an operation seeking to add equipment that would increase emissions is required to obtain an approval order first. But officials say the loading facilities may operate while their permits are pending because their emissions will likely be insignificant. DAQ officials have inspected the Price River Terminal and are satisfied it does not pose an undue threat to air quality. "They are using the same equipment as the trucks filling gas station tanks. Potential emissions are routed though a control device," Black said. "They are capturing emissions as effectively as they would be required under a permit." Weighing options • No interstate pipelines or rail lines currently serve the Uinta Basin, but that could change in coming years. An environmental review is underway for Tesoro&apos;s Uinta Express pipeline from Duchesne to Salt Lake City-area refineries. Meanwhile, state transportation officials are exploring possible rail alignments connecting the basin with existing rail infrastructure. This $2 billion rail project is leaning toward a route through Indian Canyon following U.S. Highway 191 and tying into Union Pacific tracks near the head of Price Canyon. Such options would relieve pressure on Utah&apos;s highways. But they could come with a stiff environmental price, advocates say, because they further the nation&apos;s reliance on energy sources blamed for climate change. "Fossil fuel, while it supports a lot of jobs and economic development, is short-term," Wagner said, "and is happening at the expense of the health of our public lands."